Treat your special ones by ordering online this Classy Ladies Special Nova Hair Straightener for them and show how special a place they hold in your heart. 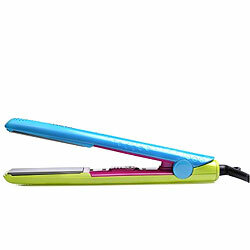 This Hair Straightener comes with some specifications like It gives Effective Straightening and Curling, has Conversion Lock Button, LED Indicator Light with ON/OFF Switch. Flowers Delivery Buldhana, Send sweets Tonk, Wedding Cake Phagwara, Diwali Mithai Tanjore, Send Flowers and Gifts to Gopi, Online Shop Kolhapur, Flower to Khammam, New Year Flowers Barrackpore , Fresh Fruits Haveri, Send Gift Ichalkaranji, Dry Fruits to Mysore, Birthday Delivery Patiala, Sending to Devangere, Flower shop Gaziabad, Secundrabad Online Cake Delivery.